Bango announces that their integration with Facebook is now live. Bango is providing Facebook mobile web carrier billing in Germany, the UK and USA, and the service is being expanded to other countries during the remainder of 2012. Following an initial announcement of the partnership in February 2012, Bango now provides Facebook mobile web carrier billing as part of an improved mobile payments flow. This enables Facebook’s mobile web users to easily purchase digital content without the use of premium SMS messages or the limitations of credit cards. Instead, users enjoy frictionless operator billing, paying on their phone, without the need to register personal details. Bango is one of the world’s leading mobile payments and analytics companies. App stores, publishers and content providers use Bango to collect payment from mobile users for online content and services. Bango’s pervasive presence across app stores, publishers and mobile operators creates a platform effect for its partners, leading to more identified mobile users and maximizing the number of single-click payments. The result is significantly higher rates of collection. 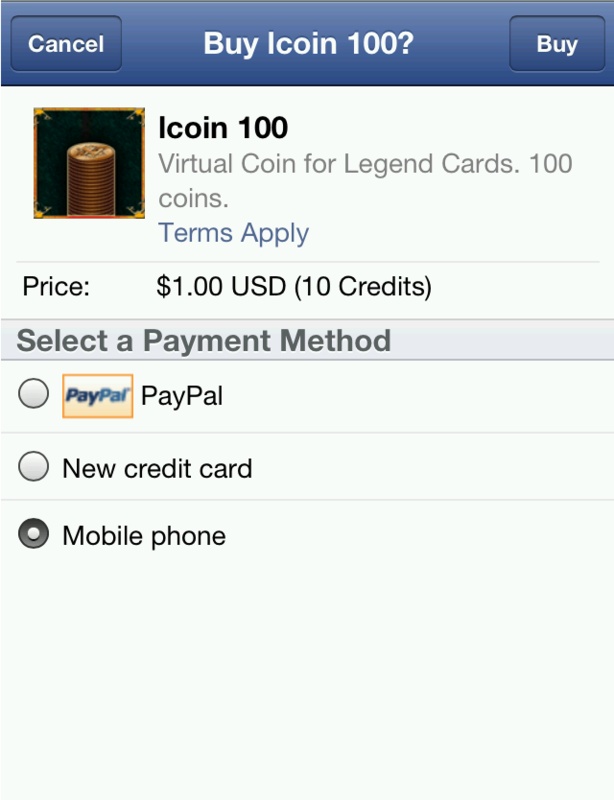 This is the experience that Facebook is now using for its smartphone payments service on the mobile web. Bango has become the payments platform of choice for many of the world’s leading app stores. In addition to Facebook, Bango’s existing app store connections include Blackberry App World, Opera Mobile Store and operator-led connections to Google Play. Bango has also announced an agreement to provide payment services to Amazon and has become a technology partner for MasterCard’s PayPass mobile wallet. Conventional operator billing is expected to achieve a 40% conversion rate. Put simply, most mobile commerce customers who click ‘buy’, do not successfully buy. Billing with the Bango payment platform delivers an average conversion rate of 77%. Most users who click ‘buy’, do buy. Commenting on the announcement, Bango CEO Ray Anderson said “we’re delighted to bring Bango’s payment experience to Facebook. As the mobile web experience has matured and improved, consumers are increasingly keen to purchase digital goods on mobile devices. By ensuring a frictionless payment experience, Bango technology is unlocking the business potential of the mobile web”. This entry was posted in Press releases 2012 and tagged bango payment, Facebook, mobile payments, operator billing. Bookmark the permalink.